We don’t want anything to stand between you and your health and wellness goals. 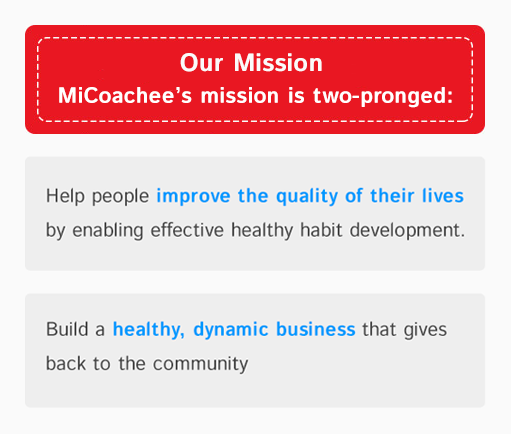 So, our founders combined their knowledge of groundbreaking technology and innovative behavior science to bring you MiCoachee. You tell us where you are and where you want to be, and we’ll give you the tools to make it happen. MiCoachee is the brainchild of Jaime Reloj, who saw people using wearable fitness trackers and using apps, but not seeing results. This inspired him to create a platform that takes information from fitness trackers and feedback from the users and puts it to use with proven behavioral change science to help users achieve their health and fitness goals. But data science is only part of the equation. Jaime, our founders, and our team of experts are putting this data to use by providing online and mobile access to innovative, change-oriented coaching, mindfulness practices, and cognitive behavior therapy techniques. Unlike fads or gimmicks that provide the same solution for every user, MiCoachee uses your unique data and feedback to create a digital coaching program that is specific to each person, able to help you overcome your biggest health and weight loss struggles and change the habits and behaviors holding you back. 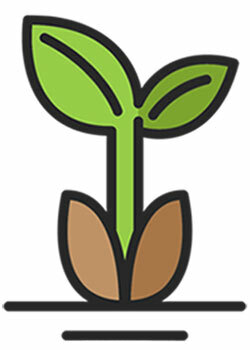 With change-focused coaching and science-proven therapeutic techniques, we target the mindset obstacles that are holding you back from sustainable health and continually update your tools as your needs change. Once you are free of limiting beliefs and bad habits, you will have the confidence and motivation to focus on reaching your goals and experience lifelong health. We’re working to achieve two goals. 1) to provide everyone access to personalized, effective training and coaching and 2) change lives using cutting-edge technology that is affordable and accessible. Who knew a passion for helping others combined with a lengthy career in large-scale tech and product development could lead to one of the most exciting innovations in health and wellness technology? That would be MiCoachee founder, Jaime Reloj. With a lifelong career in technology, Jaime sought to use his knowledge and experience to help people live healthier, energized lives. 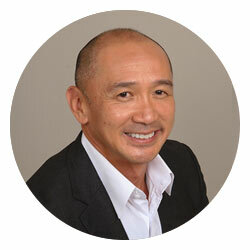 By creating the framework for MiCoachee, he was able to put an idea into motion that is allowing others to lose weight, get fit, and maintain that health in a way that is unique and easy to use. Before founding MiCoachee, Jaime spent over 25 years in senior leadership positions with technology companies globally and in Silicon Valley. 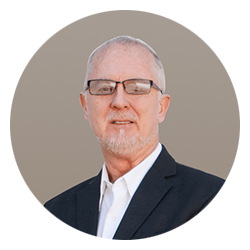 Tom had been helping others lose weight and sustain a healthy lifestyle for decades prior to joining the MiCoachee team. His own drive for helping people achieve their health and weight loss goals, coupled with his knowledge of innovative, effective weight loss techniques made him a natural fit for the team, and he’s excited to be a part of creating a platform that fits modern methods of using technology to affect personal change and improvements. 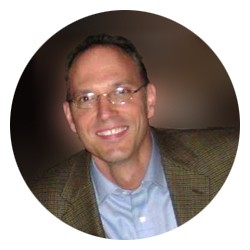 Tom is an internationally published author of the book Thinking Thin -- the Truth about Weight Loss. He is also an expert in behavior management and is often invited as a guest speaker, trainer, and consultant in hypnotism and behavior management. Tom has also been published in a wide variety of publications, including Shape magazine and has been featured on Dateline NBC, and national radio shows. Tom Mann has spent his career leading and motivating others in the software industry in his executive leadership in several Fortune 500 companies, helping them get results. Now, he’s applying what he knows to motivate people on their fitness journey. Prior to co-founding and his reason for joining the team, Tom was struggling with his own weight-related health problems. Cut to now, he’s lost 60 pounds and has the energy and endurance to experience new adventures, including hiking in Costa Rica, backpacking through Thailand and going on diving trips in South Africa. Now, he’s wanting others to share the same success he’s experienced! He has received numerous industry awards, he holds public board positions and is a guest lecturer at UMASS Isenberg Business School. We brought our combined decades of experience to provide a health and fitness experience unlike anything else available. Together with our team, we can enhance and improve the lives of more people than ever before.